Human or tech, he doesn’t choose a side as he’s the bridge between them. Collectors don't have to decide which line has the best Funko Pop Cyborg figures, since they are all included in one guide! From classic DC hero through Justice League, see the complete lineup for the Tech Titan. Originally not a founding member of the Justice League, Cyborg was promoted, so-to-speak, to a founding member when DC launched The New 52. While Victor "Vic" Stone's origin story and appearance have remained mostly untouched, Cyborg has several variations of body armor over the years. 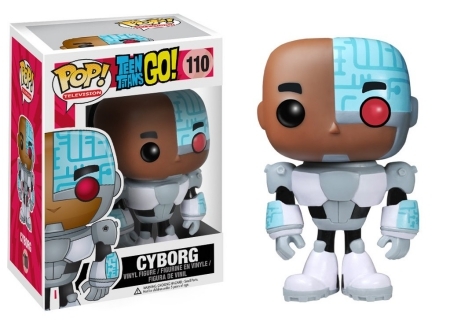 Order Funko Cyborg Figures on Entertainment Earth. 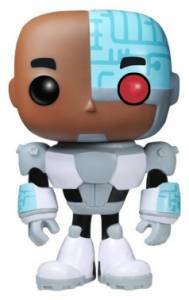 The earliest Funko Pop Cyborg vinyl features the athlete in a metallic silver suit with a red cybernetic eye. 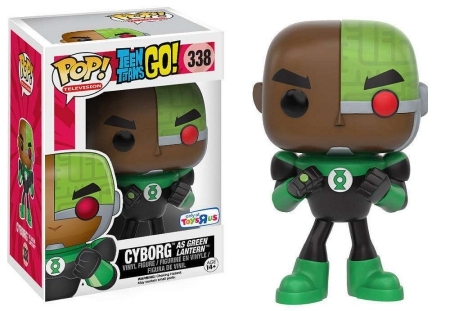 Cyborg is also included in the Pop Teen Titans Go! series with the primary option posed in a white, grey and black armor suit. Further distinguishing his television edition is the blue circuit covering his face and wrists. Fans of Teen Titans Go! 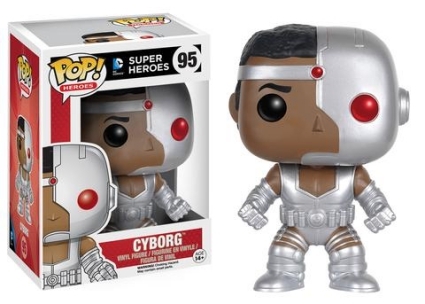 can find a Toys R Us exclusive featuring Cyborg as Green Lantern, as well. 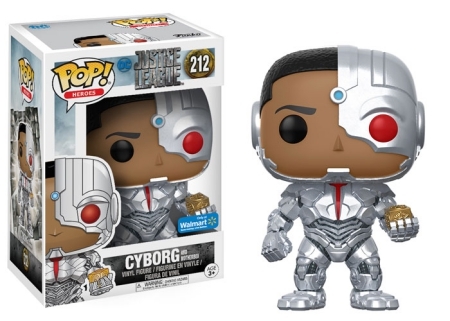 While earlier releases highlight the basic armor design, Pop Justice League showcases a fully-suited Cyborg with detailed parts, giving the impression he is much heavier, and stronger, than ever before. 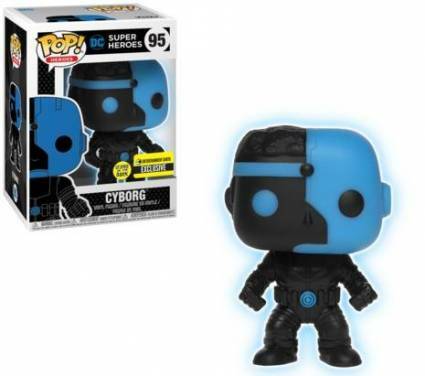 Collectors can track down Cyborg holding a Mother Box at Walmart locations. The full Funko Pop Cyborg checklist below is sorted by individual lines while the corresponding tab above provides images for each figure, listed in numerical order. 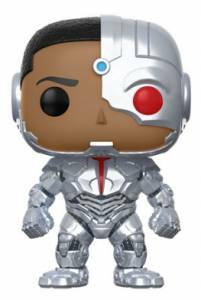 View more Funko Cyborg information with our related detailed guides.